Have any of these warning signs? We certainly hope not, but if you do, we’re ready to help! If your hot water heater is on and cold water still comes out of the shower, there’s definitely a problem along the way. The hot water heater could be malfunctioning or leaky, or there could be a stuck valve. Inspect the water heater and figure out how old it is- then call Henry Plumbing! If you happen to notice either black or green spots on any walls, then you have a mold problem. Molds appear in areas where there is moisture, and it is a sign that your pipes might be leaking water onto the wall. 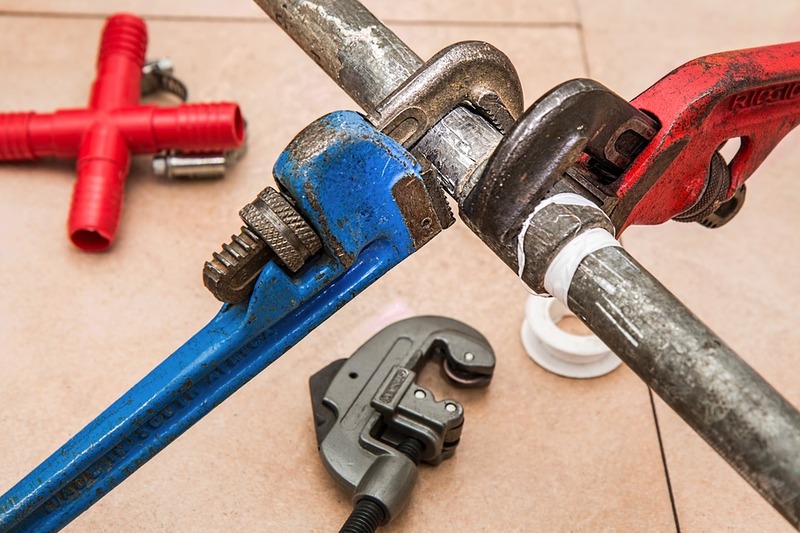 When water is running and you hear a rattling sound when you open or close a tap, it means that your pipes may not be properly installed and are moving around when the pressure inside them changes. Any movement of pipes that are supposed to be stationary is not good. If you frequently have to unclog your toilets, you have a plumbing issue. Adhesions, blockages and invasive tree roots are the main cause of toilet backups. If not checked early, the issue could get worse and result in the need to dig up your sewer line. If you find that the ground floor rooms are damp, you may have a plumbing issue. Water is obviously getting in and it could be from a leaky pipe inside a wall. Materials such as galvanized steel can corrode over time and PVC can crack. Joints in copper pipes can also fail resulting in a tiny leak that can grow over time. Even the tiniest pinhole can result in significant dampness. If you smell rotten eggs around fixtures that dispose of wastewater like a sink drain or toilet, you may have a problem involving the wastewater disposal system of pipes and vent stacks. If water takes time to drain and it doesn’t respond to the usual methods of clearing our clogs, like plunging or using an auger or snake, you may have an issue further down the drain line. Many times it turns out to be tree roots or some blockage introduced into the drain lines or flushing a solid object down the toilet. A sewer line camera can locate most problems like this one. Using faucets and showers frequently gives you and idea of how fast and hard your water typically flows. If there’s an unexplained reduction in the water pressure, you may have a compromised inlet line that is causing the drop. If you know it’s not your water company, it may be something you need to have repaired. Turn off all the faucets and any other fixtures that may run water and check your water meter. If the device shows the motion of water through it (such as a spinning indicator) you may have a leak somewhere. It may be a slab leak under your basement floor, which can be detected and repaired. If you notice a sudden surge of bugs in your house, you have a plumbing problem. Cockroaches and rats use the water pipes to infiltrate your house, and they usually congregate where there’s a ready source of water and food. Moisture may be keeping them around so pursue the possibility of a leak if you notice more pests in your home. Henry Plumbing has seen it all. Call us even if you simply have a question about whether or not you need a service call.